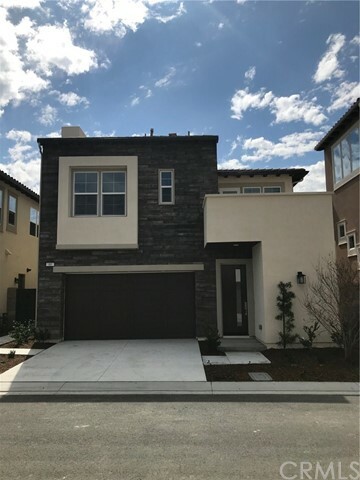 This new home by Lennar features three-bedroom, three-and-a-half-bathroom and 2 car garage with an open-concept layout throughout the main living area where the kitchen, living and dining area effortlessly connect. The large loft off the master provides extra space and a great spot to lounge. Gorgeous outdoor living spaces such as the covered porch, downstairs patio, and the open-roof deck are perfect for enjoying Southern California’s warm climate. And everyone wins with a walk-in closet and private bathroom in every bedroom. Solar Panels are built in as well making it easy to be energy efficient with the other items including insulated garage door, and tankless water heater. This home is a must see! Home ready fro a November move-in.